My friend Elena recently had to move from California to Texas, I presume because she angered either some California governmental agency or God himself. But don’t feel too bad for her — she actually found a job as docent-slash-dying soldier at the Alamo. (Lots of interesting people! Fresh air!) When I strained to hear through her newfound twang, I heard so many of Elena’s stories about confronting the Texan wildlife. Much like Australia, Texas boasts a whole host crawling, slithering and orifice-penetrating animals that don’t like humans and can eliminate them fairly easily. 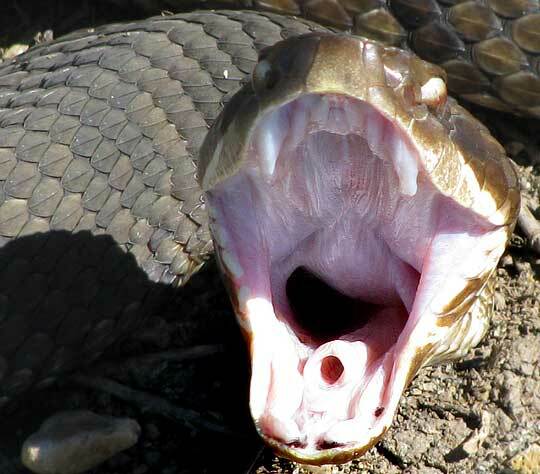 Perhaps worst among them is the highly venomous snake known variously as the water moccasin, the cottonmouth and, perplexingly, the Congo snake, despite that it lives more in the U.S. and less in the Congo. And THIS is why I can never live in Texas.